Inkster Park Millwork Ltd. customers can choose from door panels made of steel, Vantage fibreglass or DaVinci PVC. Our pre-finished ® Vinyl (PVC) Wrapped Frame System gives many years of worry free, and maintenance free beauty. The maintenance free fibreglass door panel is pre-coloured in ice white. However if the customer would like a colour other than the original white, we can offer surface painting in 13 colour options. The door skins are damage resistant because they are three times thicker than 24 GA steel doors. For added strength the Vantage door panels are reinforced with laminated wood lock blocks extending from the top to the bottom of the door on both sides. Wood stiles and rails found in metal doors are replaced with composite on all four edges. Unlike steel, the fibreglass skins will never rust. Available In all the standard sizes. Including custom lock bores, viewers. Custom sizing is our specialty. Decorative lites with brass, zinc, pewter, patina and iron caming. The Avanti residential security door system has all the same features as the Vantage, plus a premium quality factory installed multi-point locking system. 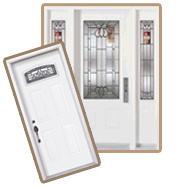 The Da Vinci residential security door system has all the same advantages as the Avanti plus the high quality fibreglass door panel is upgraded to a PVC panel featuring interior perimeter reinforcement made of engineered wood three times larger than the stiles and rails found on steel doors. The unique raised profile designs of the Da Vinci promote maximum insulation performance. See our standard features as listed on the the Door Features brochure. Compare us to all the rest. You may find that many others don’t even offer our standard features as options. As a guarantee of product excellence, the Inkster Park Millwork Ltd. Warranty covers all components. See our detailed warranty section. Inkster Park Millwork Ltd. ships product over long distances to the North, West, East and South, so we understand the extraordinary demands put on damage protection. That’s why we have developed a packaging method to minimize the risk of any harm coming to your order. 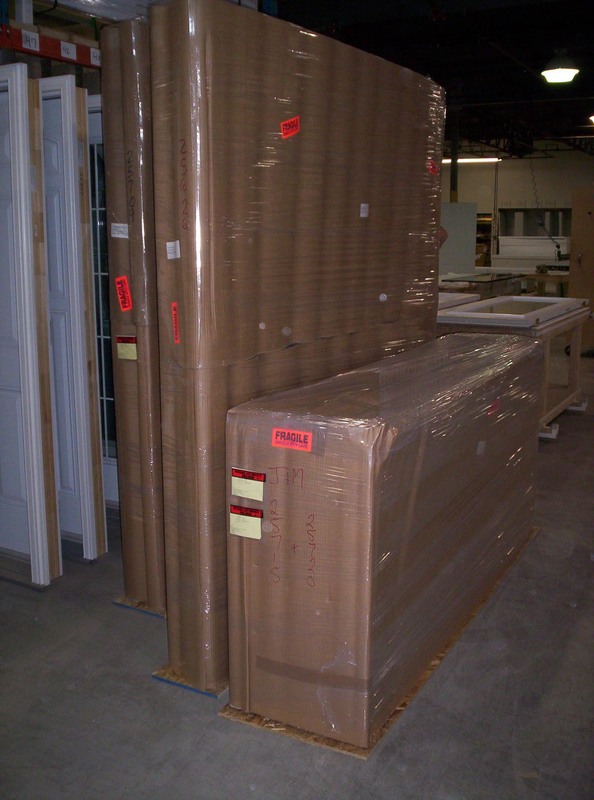 A: Doors are individually packaged in cardboard and shrink wrapped. B: Doors are blocked together and secured on a skid plate plus they are both cardboard and shrink wrapped. 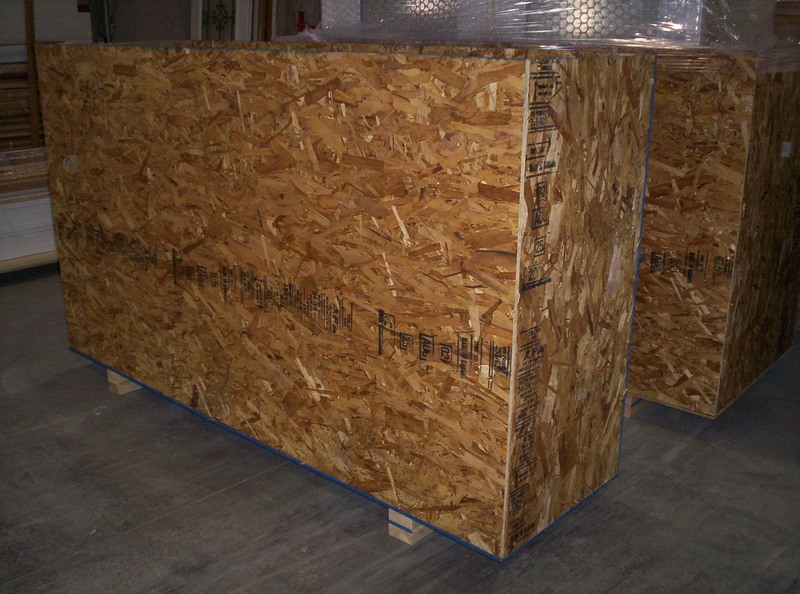 C: Doors are securely braced with struts within a strong crating system. The system also features skid blocks for the easy operation of a pallet jack or a fork lift. Authorized Inkster Park Millwork Ltd. Dealers enjoy the many sales aids available to help the home owner see and understand the advantages of a good quality system. Our dealers must share our commitment to incredibly high standards, continuous improvement and exceptional value.